Take the BOOBOOK Ecotours Gurulmundi Wildflower Wander and you’ll see flowering grevilleas, hakeas, boronias, wattles and bush peas. You might even find the threatened Gurulmundi Heath-myrtle, and if you’re particularly lucky you will find a Rose. 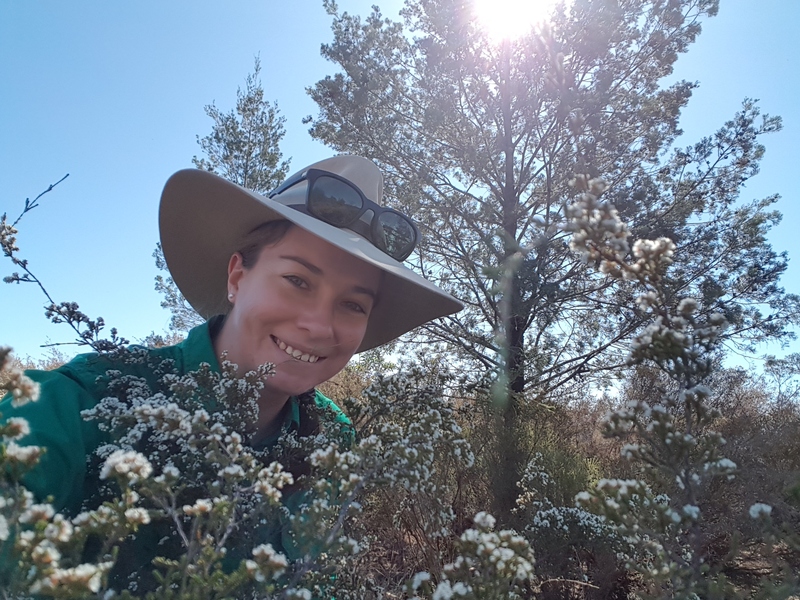 Rose Aisthorpe is BOOBOOK’s resident botanist and wildflower tour guide and has been identifying the plants of Outback Queensland since she was a child growing up around Roma, and she still gets excited each winter and early spring when the wildflowers erupt at Gurulmundi. 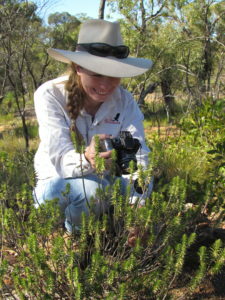 She can show you tiny ground orchids that, without her, you may have stepped over (or on), the vulnerable Curran’s Wattle with its distinctive red curly bark and daisies in a riot of colours. But her excitement doesn’t stop with the plants. She’ll be able to show you a Blue Tiger. And a Blue Argus, Common Eggfly, Fiery Jewel and Orchard Swallowtail, which are all local butterflies. She’ll be able to show you a Spangled Drongo, Jacky Winter, Satin Flycatcher, Crimson Chat, Speckled Warbler, Rainbow Bee-eater, and a Bustard. They’re just some of the native birds. She has a keen eye for photography and has taken some brilliant macro photos of flowers, fruit, buds and the plant itself. She may been able to teach you a few tricks she’s learnt along the way. And even though Rose may not be able to name them, she does enjoy a good snail hunt, describing it as a bit like a treasure hunt without a map. You can join the hunt, but, beware, it is rumoured to be consuming and just a touch addictive. So just don’t come and see the wildflowers, come and see Rose and soak up some of her knowledge with BOOBOOK Ecotours. If you have a group of keen plant enthusiasts and a few days to spare Rose can custom design a tour and take you to places like the Carnarvon Ranges, Thrushton National Park near St George and Gurulmundi Wildflower areas.